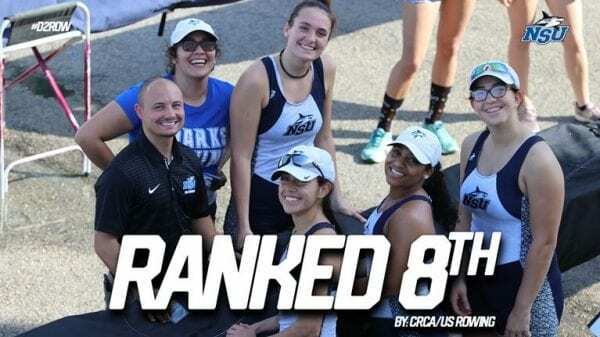 FORT LAUDERDALE, FLA. – Nova Southeastern women’s rowing was announced among the top programs in the nation this week in the latest NCAA DII Poll by the Collegiate Rowing Coaches Association/US Rowing. 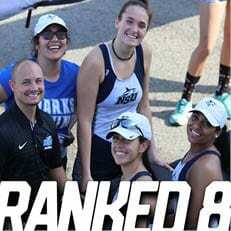 The Sharks are currently positioned in eighth-place after receiving 28 total votes, as they are looking to carry that momentum into a strong showing at the University of Central Oklahoma’s Central Sprints on Friday in Edmond, Okla. The Sharks will travel west to Edmond, Okla., on Friday Mar. 29 to race in the Central Sprints. Hosted by Central Oklahoma, the event will begin at 5:50 p.m. CT on Friday. Be sure to follow @NSU_Rowing on Twitter or visit NSUSharks.com for updates and results. To keep in touch with the team be sure to follow nsu_rowing on Instagram and @NSURowing on Facebook.